Last time I checked, it was January. I just mailed my moms birthday card, her birthday is next week. Because it’s January, right? We had snow just a couple of weeks ago. And it’s really cold. And we had crap rain all weekend and it gets dark kind of early and I’m really pasty looking. And my gas bill is SKY HIGH from the HEAT. So then why is this happening? 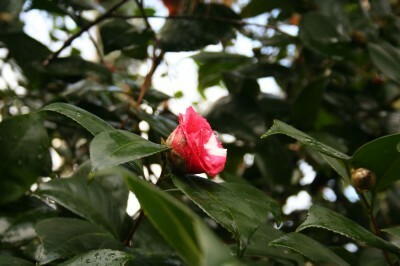 This camellia bush is crazy confused. I hope the azalea’s don’t start blooming soon, because that would be a sure sign of the apocalypse. 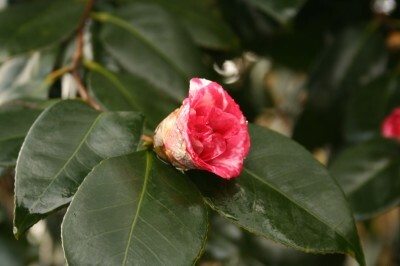 It was still 32 degrees this morning – crazy camellia.